BB1199 Hager Full Mortise Heavy Weight Ball Bearing Hinge 4-1/2" x 4-1/2"
The Hager BB1199 Full Mortise Heavy Weight Hinge is a five knuckle, ball bearing, heavy weight hinge..
BB1199 NRP Hager Full Mortise Heavy Weight Ball Bearing Hinge 4-1/2" x 4-1/2"
The Hager BB1199 NRP Full Mortise Heavy Weight Hinge is a five knuckle, ball bearing, heavy weight h..
47KE, Key in Lever Entrance Function: 08 - Entrance by trim; key locks or unlocks trim Lever..
BB1191 Hager Full Mortise Std. 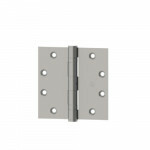 Weight Ball Bearing Hinge 4-1/2" x 4-1/2"
The Hager BB1191 Full Mortise Hinge is a five knuckle, ball bearing, standard weight hinge. 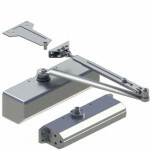 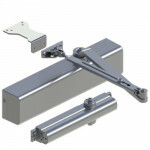 4-1/..
Harger 5100 grade 1 heavy duty door closers - Ideal for schools, hospitals and other high-use enviro..
Hager 5300 heavy duty grade 1 door closers - Ideal for schools, hospitals, and other high-use enviro..
Hager 4701 3' Rim Exit Device. 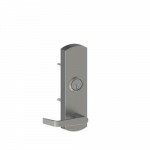 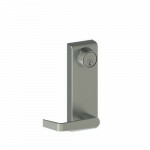 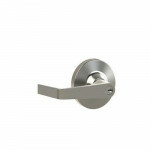 Door Thickness: - 1-3..
47CE, Cylinder Escutcheon, Left Hand Reverse Function: 08 - Key locks or unlocks leve..
47CE, Cylinder Escutcheon, Right Hand Reverse Function: 08 - Key locks or unlocks lev..
Cylinder Escutcheon Key locks/unlocks lever 4500 series trim information Lever: Wi..
Key retracts latchbolt Levers: Withnell (available by factory order only Archer, August, W..
Hager 5200 grade 1 heavy duty door closers - Full rack and pinion operation, precision machined, hea..
Hager 3480 Storeroom Lock: Deadlocking latchbolt operated by key in outside lever, or by operating i.. 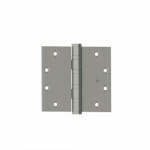 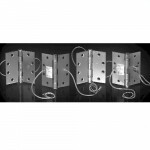 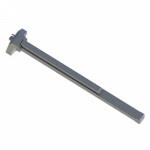 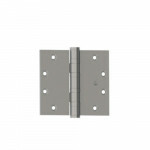 The Hager BB1279 1108 Hinge is a 4-1/2” x 4-1/2” ACSI Electrified 8 Wire Hinge. 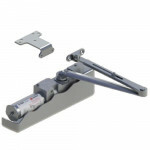 Through Wire – T..
4500 series trims information Always operable (passage) Levers: Withnell (available by.. 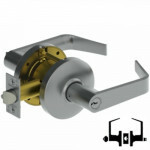 Entry: Deadlocking latchbolt by lever either side, except when turn button locks outside lever. 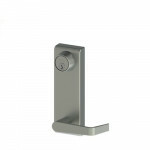 ..
Hager 3453 Entry Lock: Deadlocking latchbolt by lever either side, except when turn button locks out..
BB1191 NRP Hager Full Mortise Std. 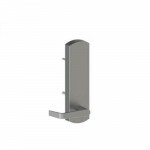 Weight Ball Bearing Hinge 4-1/2" x 4-1/2"
The Hager BB1191 NRP Full Mortise Hinge is a five knuckle, ball bearing, standard weight hinge with ..
BB1168 NRP Hager Full Mortise Heavy Weight Ball Bearing Hinge 4-1/2" x 4-1/2"
The Hager BB1168 NRP Full Mortise Heavy Weight Hinge is a five knuckle, ball bearing, heavy weight h..
BB1168 NRP Hager Full Mortise Heavy Weight Ball Bearing Hinge 5" x 4-1/2"